Letter D is for Dentist (Oral Hygiene) Week Next! 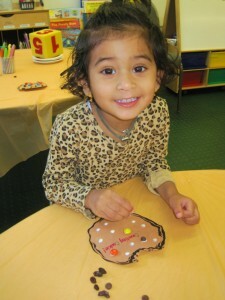 Letter C for Counting Week was Cool, Crazy, Cheerful and Creative to say the least! The students did a phenomenal job bringing in letter C shares – some of the highlights included Cats, Cars, Clowns, Cookies, Corn and Coral! The students began the week on Monday by working on their letter C identification writing/tracing activity sheets. The students colored their papers beautifully despite having some difficulty determining which letter the words on the pages began with! Trying to explain that Cat starts with C but Kitten starts with K is always a bit tricky! 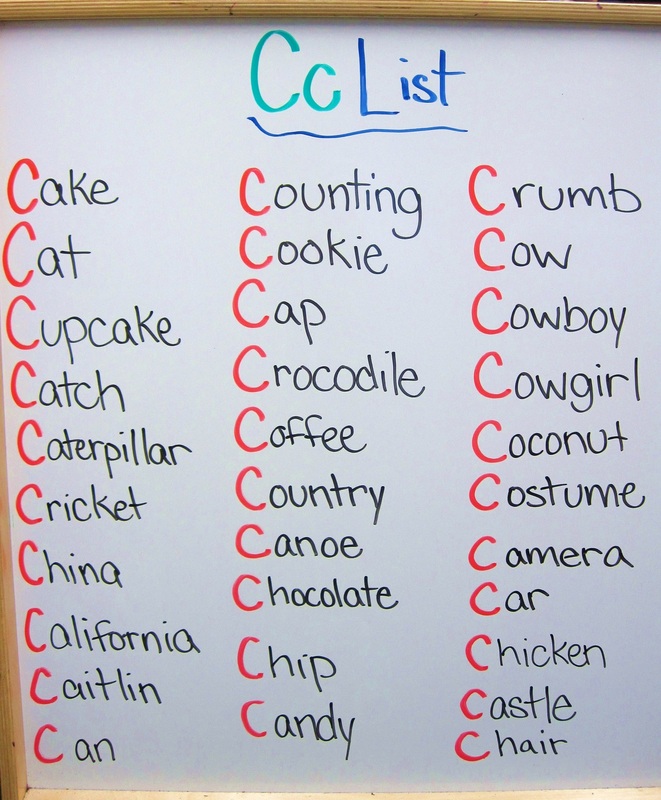 The confusion continued when it came time to create the letter C list in the afternoon as words like kitchen and ketchup were suggested. 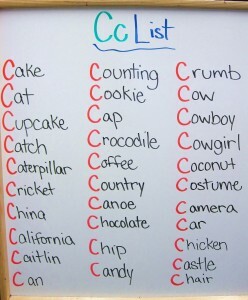 Fortunately the letter C is a popular letter so the list continued on. The students returned to school on Wednesday ready to count! The teachers decided that it would be fun (and yummy) to make cookies! These cookies were not just ordinary cookies; these cookies had special toppings on them! 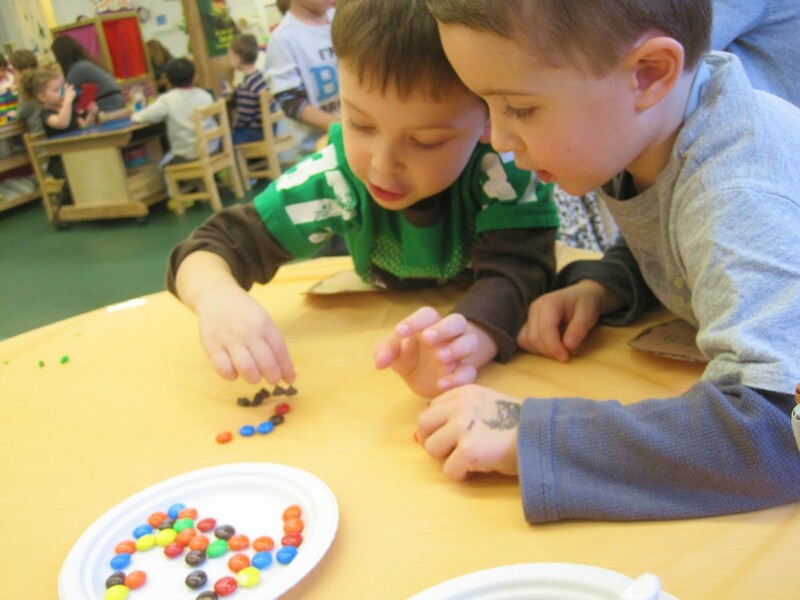 The students faces lit up as they realized the toppings included chocolate chips, raisins, and M&Ms. Here is how the students created their Counting Cookie! First, they tossed a large foam die to determine the number of each toppings that would be added to the cookie! Once the number had been determined, the students returned to the table to count out that particular number for the toppings. Once all of three students had determined the number for each topping, the numbers were written and the toppings were then glued onto the cookies! To avoid any art project nibbling, the teachers explained that the glued toppings were not for eating as they handed out several fresh and unglued toppings for the students to enjoy. The fun continued on Wednesday afternoon as Park Prep was paid a special visit by a Park Prep Mommy! 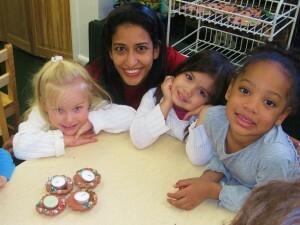 The Mommy pictured below came to school to teach the students all about the Indian holiday, Diwali. 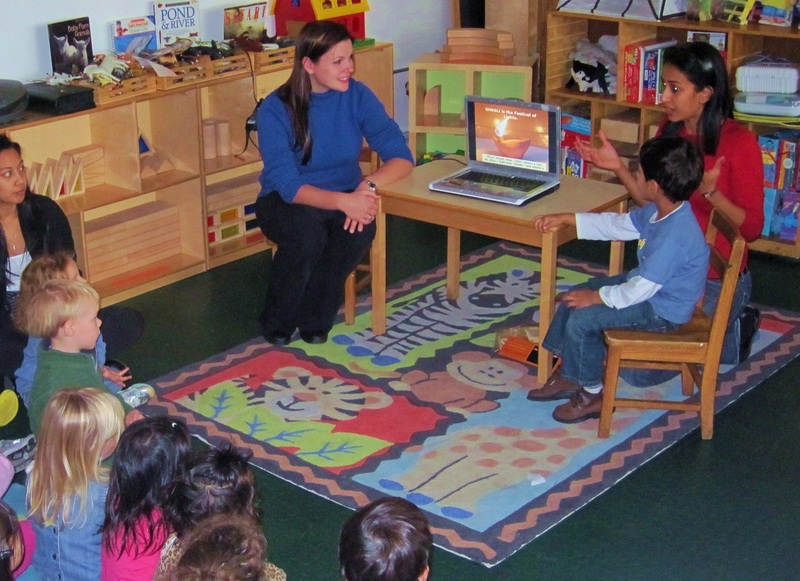 The students observed a beautiful technology presentation which explained all about Diwali, the Indian Holiday more commonly called the Festival of Lights, which begins this Friday. The students were in awe of the beautiful and colorful pictures showing people celebrating throughout the presentation. One thing was for sure, the PPA students loved the images of Diwali fireworks and sparklers! After the presentation, the students had an opportunity to decorate a little lantern (called a dia) to help them celebrate Diwali in their own homes. 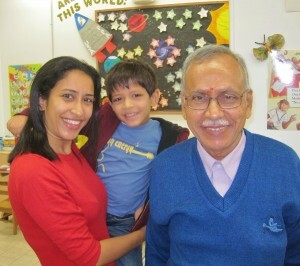 A special thank you to the wonderful Park Prep Mommy (and Grandad) who helped us learn all about this beautiful holiday! Happy Diwali to you and yours! 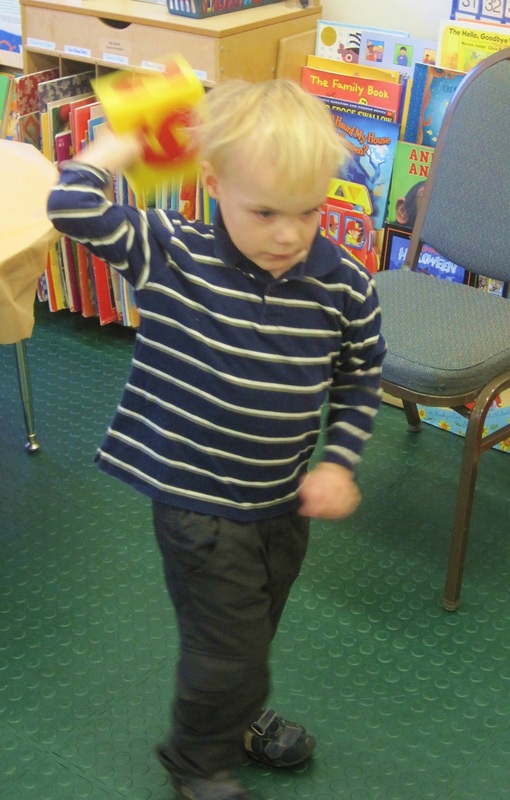 Thursday began with a very exciting new station – the STOMP station! Watch the video below to see how the students STOMPED to practice their numbers! Friday was picture day at Park Prep! The students came to school dressed to impress! They did a wonderful job posing for their school pictures. 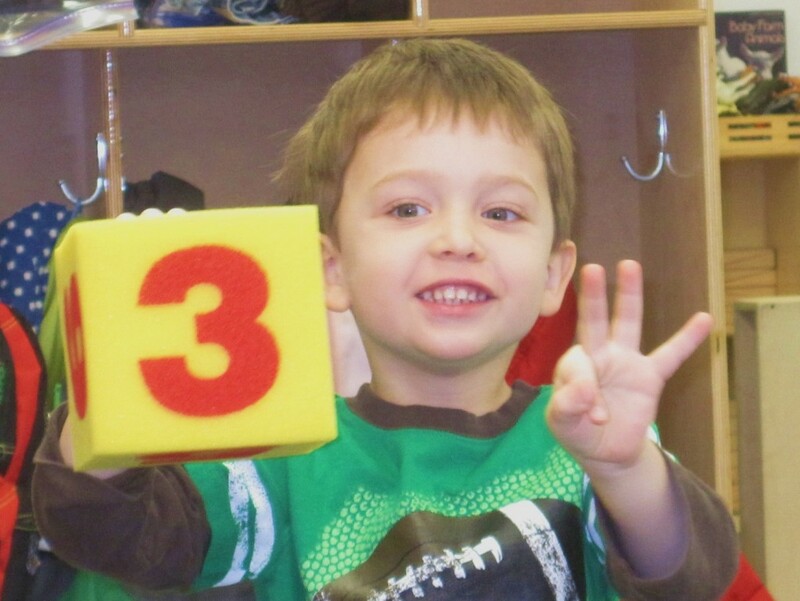 Friday afternoon wrapped up with a super fun Spanish class all about numbers! To help build some excitement for the upcoming letter D week, Dr. Greenwald surprised the students with some very exciting and life-like dinosaurs! 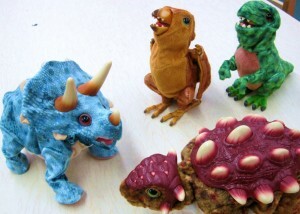 The dinosaurs pictured below can STOMP, grunt, and swing! Needless to say the students LOVED the dinos and can hardly wait for next week! Well, that is all for letter C week. As always, thank you for reading and have a wonderful and safe weekend! Parent-Teacher Conferences will be taking place from November 8th through November 19th. Please check the school calendar board to confirm your scheduled time-slot.